Hello, this is an updated version of a post I wrote in time for last year’s festival – there are a few new tips for 2016 and other updates. Do you know the way to Pordenone? It’s about 80km north-east of Venice, but that’s not important right now. When I say Pordenone, I mean Le Giornate del Cinema Muto: the world’s most prestigious silent film festival, which takes place in the town every October. This year will see the 35th instalment of the Pordenone Silent Film Festival, a veritable institution, which showcases the best (and some of the rest) of silent cinema, accompanied by the world’s leading musicians. It’s eight full days of silent cinema, and a chance to meet the most knowledgeable early film enthusiasts around. Never been? I think I understand why. Something about the words “prestigious” and ”institution” can be a little daunting. For years I thought Pordenone was not the place for me – it was for the real experts. I was intimidated too by the website, which is actually phenomenally useful, but a little hard to navigate and very text-heavy in two languages. But as soon as I arrived for my first Giornate in 2012, I knew I had been a fool to stay away. Pordenone isn’t intimidating at all. And if you love silent cinema, which I know you do, it’s an essential indulgence. You can call that the Pordenone paradox. Pordenone is only a two-hour flight away from London, but the route is up to you. You can go to Marco Polo airport, Venice, or Treviso, or Trieste. They are all about the same distance from Pordenone – and they are covered by budget airlines as well as good old BA. After you land – public transport will get you to the town itself. I cut it fine: arriving Saturday lunchtime, just before the screenings start that day, and leaving the following Sunday morning – my secret weapon is getting an outbound flight from City airport, which makes for a less early start. If you’re planning to come for just a few days, bear in mind that the full schedule of screenings won’t be nailed down/released until very late in the day, so you can’t guarantee just seeing the films you’re most interested in. You probably guessed it but Airbnb is the cheapest way to stay in Pordenone. Alternatively, the festival can arrange lodging with local families, an option you can request when you register for the festival (more of which later). If you prefer the comforts of a hotel, there is a vast choice … from cheap to not so cheap. The most central hotel is the four-star Moderno, slapbang next door to the Teatro Verdi, where the screenings take place. It’s very comfortable, embarrassingly convenient and the perfect place for networkers or sociable types. Lots of other four-star options abound, but for those with modester budgets, Pordenone veterans Uli Ruedel and Mark Fuller recommend the Hotel Santin (great restaurant) and the Residence Italia (great location). Sharing a room with a friend or two is a good way to save cash too. You’ll barely be at your hotel anyway, so your privacy won’t be invaded that much! If you reckon you can cover travel and accommodation, then the festival itself is a bargain. For the past few years the pass for the week’s screenings has come to a very reasonable €65 (€40 for students) – but you don’t pay until you arrive. You’ll also pay extra, about €20 a pop, for the gala screenings. If you want to contribute more, you can become a festival donor – you get pre-booked tickets to the gala shows, and a few more freebies, plus your name in the catalogue and a fancy badge. However, accreditation is where the festival might begin to seem a little daunting. If you have never been before you need to register to be on the festival database or “list of friends”. Fill in that form here before the end of July – you’re not committing to anything. Then you will get an email at the end of the month inviting you to the festival! That’s nice isn’t it? That email should tell you much a pass costs. You’ll have to fill in one more online form and then you’re all set. Just two months to wait until the festival begins! To while away the time, keep obsessively checking this page to see whether any new screenings or strands have been announced. Also, start saving up your euros for pizza money. If you are young and clever and enthusiastic there is another way to get to Pordenone – the Collegium. The closing date this year is soon, 15 July, but the requirements are simple: “Applicants should preferably be under 30 years of age and still, in the broadest sense, pursuing education in cinema.” Joining the Collegium gets you a pass and accommodation, plus informal seminars with incredibly knowledgeable people such as David Robinson and Kevin Brownlow between screenings. You also get to come back the following year and mentor the next intake. You do need to write an essay about your time at the Giornate, but there’s a prize for that, sponsored by a local bank. To apply, just write a letter. Full information here. Arrive, rejoice in the autumnal sunshine, unpack and breathe deeply. At some point on the Saturday afternoon the Teatro Verdi box office will open so you can buy a ticket for the gala. The early birds really do catch the worm here. Arrive punctually or you will be sitting on the benches up in the gods, or on the front row of the balconies, squinting past the “Verdi Tidemark” – the balcony rail that is right in your eyeline when looking at the screen and belies the fact that the theatre is usually a music venue. Never mind, here’s a picture of my smiling face as I pay for just such a seat, for a film that in the end I didn’t much care for. It was still worth it. Put your phone on silent (heh!) when you enter the Teatro Verdi. Ever been angrily shushed by an auditorium full of film buffs? You don’t want to be. Carry a bottle of water in your bag – yes, of course, you need to hydrate, but the screenings are a bit of a marathon and a gulp of water can keep you alert almost as well as nipping out for an espresso or a gelato during the breaks. Which you should most definitely do as well. Watch as much as you can, but know that you are bound to need a break and to sit out a screening or two at some point. Unlike other festivals, there is usually only one film showing at any one time. That means there are not so many tricky decisions to make, but it can tempt people into unwieldy ambitions of completism. Check out last year’s schedule here and feel the pace for yourself. Also, I know I said you should read the catalogue as much as you can, but step out into the sunshine and socialise with your fellow delegates too. We’re all here for the same reason and almost none of us bite. So pop over to the Bar Posta opposite the Verdi and strike up a conversation. The Posta is impossible to avoid – it takes care of Pordenone bods all day from morning cappuccino to late-night vino rosso and rather lovely (and budget-friendly) it is too. Drink an Aperol Spritz in the early evening sun – they may be dead trendy in London now, but they are a local speciality. Keep an eye on when the box office opens for you to buy tickets for the closing gala and/or any special events. Check out the local shop windows – which are dressed up for the festival. Bring an umbrella. It normally rains heavily at least once during the week. Also, mosquito repellent can come in useful, although luckily I have never needed it. Share in the warm communal glow when/if new artistic director Jay Weissberg says “Welcome home!” a la his predecessor David Robinson. Read Silent London’s essential daily live blog of the festival – if only to have something to disagree with! I’m here all week, folks. Consider taking a day off the festival and hopping on a train to Venice – it may well be the most beautiful city in the world and it is only an hour away. Talk or text or do anything else LOUD during the screenings. Sit through a screening you absolutely hate – but do try to be discreet if you have to leave. Top tip: sit near the back if you’re not sure you’re going to dig it. Forget to clap the pianists – they are working really hard here, and they are immensly talented people who contribute hugely to the joy of the festival. Nor the tireless interpreter, who must be an expert on the restoration of nitrate film by now. Miss/spend too much money* at the book fair. *delete as appropriate for your bank balance. Try to sit on the balconies for the standard screenings – you’ll probably get booted out. Forget to keep your delegate badge on you at all times (and your paper ticket too). Worry about the language barrier – all films at the Giornate are translated into Italian and English, and yes, your bad Italian will do fine in the local shops and restaurants, as long as you are at least trying. To be fair, my pronunciation of the word “vegetariano” was loudly mocked in a sandwich bar in 2014, but my Italian is really bad, and I have vowed to improve it. Neglect to plan your voyage home. The Sunday after the festival finishes is the day of the local marathon, and there are other matters … which all mean you must leave plenty of time for your journey to the airport. Go to Venice for the day – think how many films you would miss! See at least one film that scares you every day. Seriously. Neil Brand always advises me to sit in on one of the musical masterclasses, where aspiring accompanists get tuition from the musicians working at the Giornate. I keep meaning to follow this tip. But on the same topic, you should know that the Collegium seminars are open to all – so pop in and find out more about the films screening at the festival. This is a good and very handy place for pizza, known affectionately as “Two Blokes” by the Brit contingent. In fact most of the popular restaurants go by nicknames. From memory, “the Train” is very cosy and traditional, “the Three Trees” a touch sophisticated, “the Two Women” the cosiest and full of atmosphere and apparently very good for meat, and “the Pig” is perhaps most popular of all, with heaped plates of cured meats and grilled veggies. I like this place, but I don’t think it has a nickname – just “the Place Near the Verdi”. I’m not a food writer, as you can see, but I can tell you as a veggie that you will definitely eat well in Pordenone: look out for delicious smoked ricotta, roast squash and gnocchi. The festival office is staffed all day and full of super-helpful people. Plus lots of leaflets and flyers for events you might not otherwise know about. Do pop in. For any more material needs, there’s always Pam. Not me – the local supermarket. 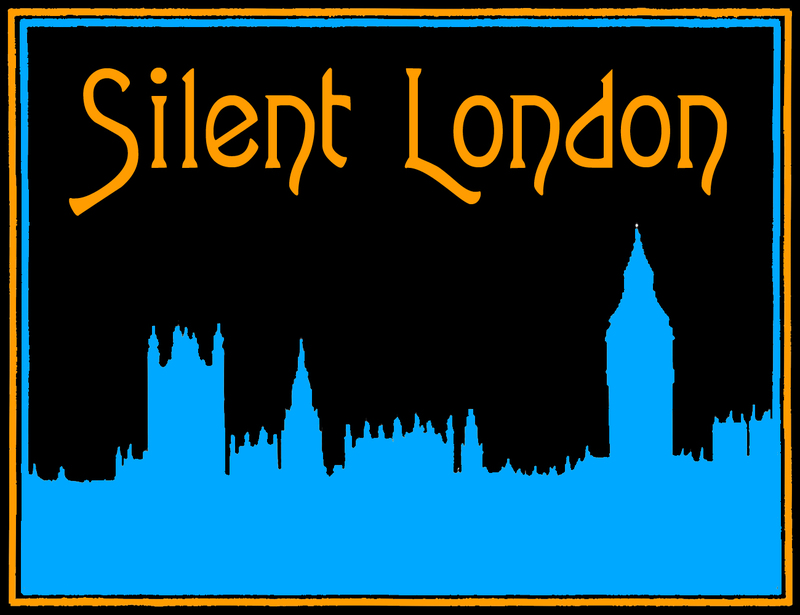 Previous PostSearching for Silent London: 10 highlights from the Britain on Film archiveNext PostGutterdämmerung: what is the ‘loudest silent movie on earth’ playing at? Excellent advice! Hope to put it to use in 2016-2017. Going to require serious savings since I’m traveling from SF, CA! In the meantime, I will be an envious watcher from the peanut gallery! So tempting to go! But it always clashes with a meeting I’m required to be at annually. Frustrating! You have certainly whet my appetite and I have completed the on line form, so looking at flights and accommodation is next. We muddled through OK as I remember! I will add my voice to Neil Brand’s: the musical masterclasses are absolutely fascinating, at least for anyone who cares deeply about music that really fits the picture. Do tear yourself away from one of the screenings and hunt down the location of the masterclass. You’ll be glad you did. Also, thanks for your blog. I’m returning to Pordenone this year for the first time since 2008. Can’t wait to get back!! Love this presentation of the Silent Movie Festival which is held in my hometown Pordenone!